The effort to commercialize research has a long, haphazard history in higher ed. But schools such as Harvard, Stanford, and MIT organize their commercialization efforts through one department. At Harvard that department is called the Office of Technology Development (OTD). While the OTD measures its success in terms of long-term impact on society, its financial impact is already evident—and particularly salient in an environment of constrained federal support for research. The fiscal 2018 commercialization revenue of $54 million, and the corporate research funding of $51 million, point to a new vision for advancing academic innovation that meshes well with the University’s aspirations for developing an enterprise research campus in Allston: in the past five years, OTD has helped faculty members start more than 70 companies and raise more than $1.5 billion in equity financing to commercialize Harvard-based discoveries. The OTD even holds conferences where researchers present to a panel of industry experts for feedback. 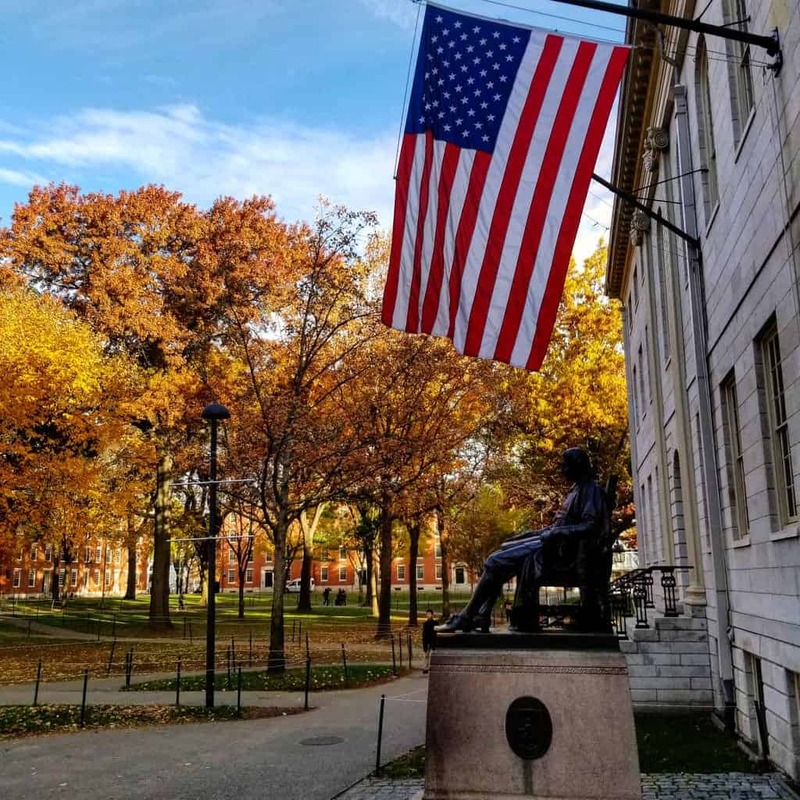 John Harvard overlooking Harvard Yard.